on by itself. 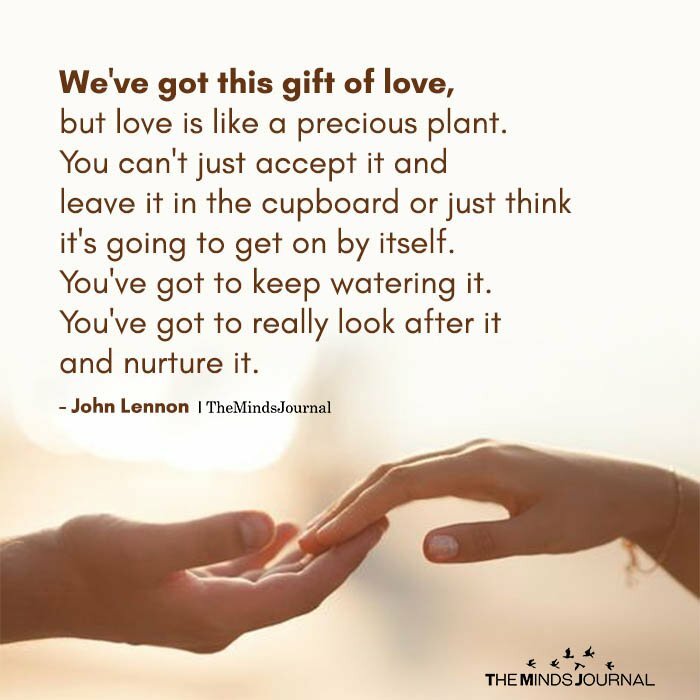 You’ve got to keep watering it. Gift of love!!! We must pay a lot for it! And for life too. Exactly, if you don’t use it, you lose it..
Nguyen Vida you have strange opinion about Man !! Y should anyone confused someone ? Relationship is totally depending on faith and committee. Exactly. …you said right here.